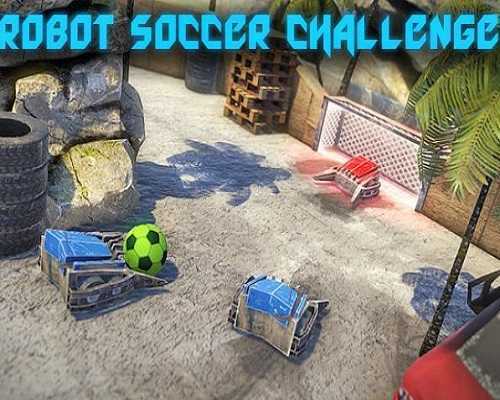 Robot Soccer Challenge is a football game in which robots on remote control stand against each other. Show your abilities and skills in robot control and bring your team to victory. Dynamical and fast game, in which there is no lack of exciting and amusing moments. The game is inspired by robotic football and robot wars show. Learn the basics of the game and robot control. Go through the basic training to prepare yourself for the real matches. Choose your favorite country and win the whole championship. Only one of the 16 progressing countries will become the winner. Be there! Ideal for fast play. Choose your opponent, arena, and conditions. A pleasant and fast match can begin! Play with your friends on a single PC or in front of the TV and enjoy a lot of fun together! There is a cooperative championship, friendly match against each other or play against the computer together. Entertainment can take up to 6 players! 0 Comments ON " Robot Soccer Challenge PC Game Free Download "